So, great! You have a skill. Juggling, magic, music, origami, whatever, and you’re doing it in front of a bunch of strangers, (the very definition of performing). Now you need to bring more to the table. Dress it up. Give it some style. Give it some personality, even if it’s not your own personality. This may sound like an old-fashioned way to look at the business, but even though audiences have changed, (very short attention spans, seen-it-all attitude, non-vocal response to stimuli) they still want the same thing - TO BE ENTERTAINED! Not merely diverted, or appeased, or made to feel grateful for a “Value Added” experience, (They want all these things, too), but what they really want, and need, is to be entertained. 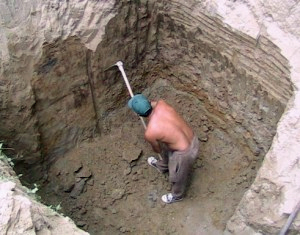 To do that you will have to dig deeper and give something of yourself. You’ll have to make yourself familiar with the basic tenets of theater, so you can craft a performance that soars above mere demonstration. You see plenty of skill being demonstrated on Facebook and other platforms, but the videos that succeed and really reach people, are the ones that have been properly produced, edited and presented. And even though it still might look raw and impromptu, It’s not. It’s produced! Thought went into the shooting locale, the material, the length of the clip, production values, etc. And as a live performer, all of these production values have to be contained in your show, even if you are performing on the street. You have to think about costuming, material, stage persona, length of performance, pace, and adjusting these things to different age groups and venues. The deeper you dig, the higher you get! It’s a lot more work, and it may not seem worth it, but man is it ever worth it! Just ask your audience!